I would recommend my course because of the freedom you have to be creative as well as the fantastic facilities available to aid your work. What made you choose to study at NTU? "It was the Fashion Knitwear Design and Knitted Textiles course that made me want to study here. The course has great industry links, the opportunity to complete a placement year and the chance to specialise in knitwear from day one." What do you enjoy most about Fashion Knitwear Design and Knitted Textiles at NTU? "The course enables you to have freedom. I am always encouraged to embrace my passion for hand knit." What was the inspiration behind the work you submitted for the loveknitting.com competition? "The inspiration for my garment came from the idea of aged textures. My personal style is evident in my work especially through the use of colour and feminine finish." How did you feel when you found out you had been selected as a winner? "Overwhelmed and excited, I have never won anything like that before. I was awarded £1000 cash and work experience with Emilio De La Morena. I also received support from hand knit designer Debbie Bliss who helped me finish my pattern ready to be sold on loveknitting.com." Has the course included any industry competitions? "During Year Two my course did a project with the internationally renowned design-led luxury hadknit yarn company, Rowan, and as you can imagine I had so much fun with this project. My design was chosen alongside eight others to feature in a Rowan design look book to promote Wool Week." Have you completed any work placements? 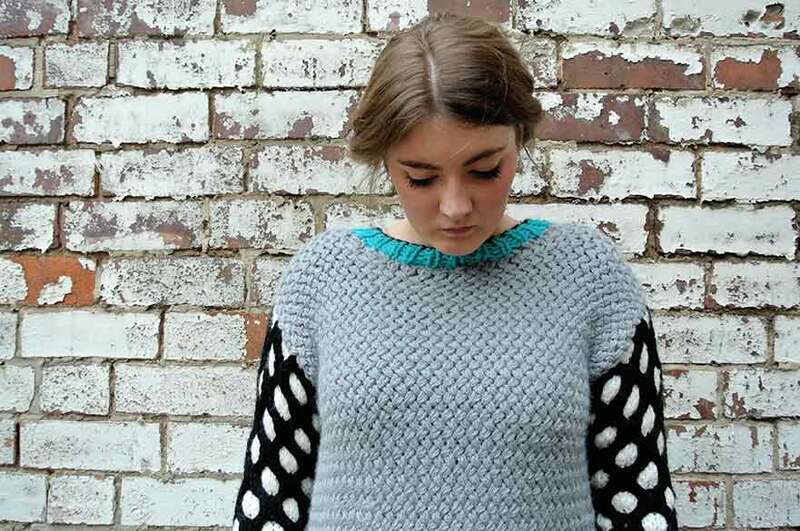 "My first work placement was at Crooked Knitwear where I made ready to wear garments using a domestic knitting machine. This really helped me develop my skills ready to design and make my graduate collection. My second work placement was at hand-knit and yarn company, Thomas B Ramsden. Here I was able to improve hand knit skills and contributed towards various photo shoots." Why would you recommend Knitwear Design and Knitted Textiles to someone looking to study in this area? "I would recommend my course because of the freedom you have to be creative as well as the fantastic facilities available to aid your work."